Kihon Kumite 3 introduces the concept of Irimi. Primary importance is Yomi - reading the opponent. When the time is right, enter and strike. 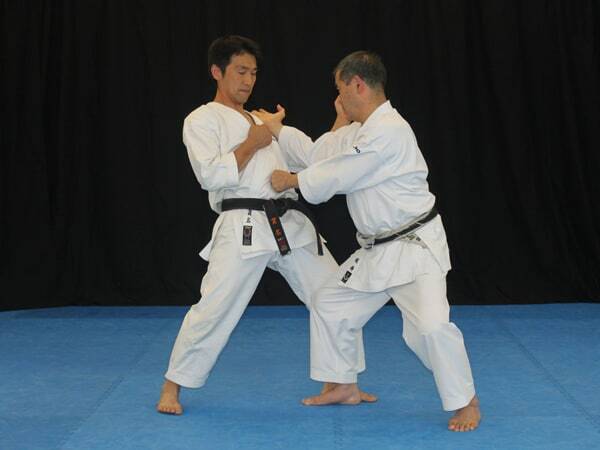 Irimi is accompanied with a double Atemi - striking the body and inside of the knee. This Kata has several small details, but the main point is to move in as you change centre line. Avoiding the attack while attacking yourself. Do you move in as the opponent pulls back his front foot, or as he kicks? Note how the elbow is used to get the body behind the punch. Although body usage with Irimi is the most important there's a lot that can be said about the right arm. 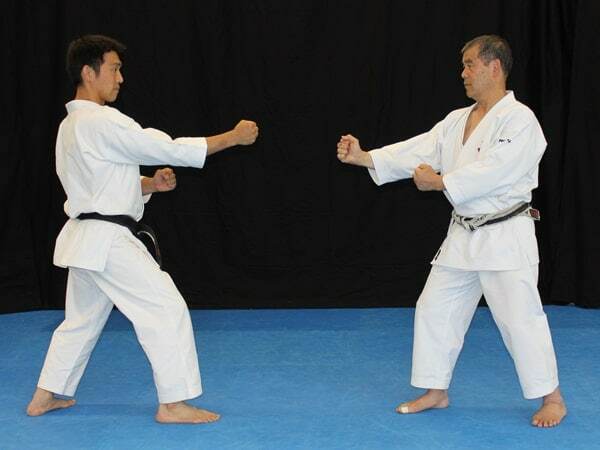 This Ohyo of Kihon Kumite Sanbonme uses the concept of the centre line shift and changes the direction from forward to backwards or perhaps sideward depending on the opponent. As Torimi changes centre line to avoid Maegeri, he executes Uraken to the inside of the thigh at the same time. Continuously Torimi closes the gap and repeatedly attacks as he applies Kuzushi on the left shoulder and inside of the left thigh.